We just had our first cold snap here in the ridges of North Georgia. We sat around the fire last night talking and shivering a little. It was nice to bring out some sweatshirts and blankets and snuggle up for the football game on Sunday. 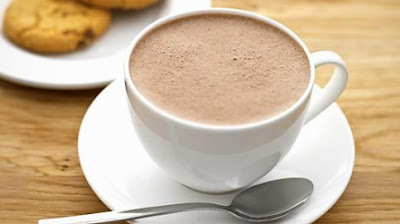 Along with that, I brought a cup of this amazing, yet so simple cocoa that my friend Denise shared with me a couple of years ago. I haven't bought a cocoa mix ever again! Recipe makes 16 oz. but can easily be doubled or more for a crowd. In a small sauce pan, heat milk on medium heat just until a skin forms on the top. Add cocoa and powdered sugar and whisk until frothy.....THAT'S IT!! This stuff is so good. You can easily adjust the sweetness or chocolateyness (I know-not a word). Enjoy it! In your blanket on the couch or around a fire in your back yard.